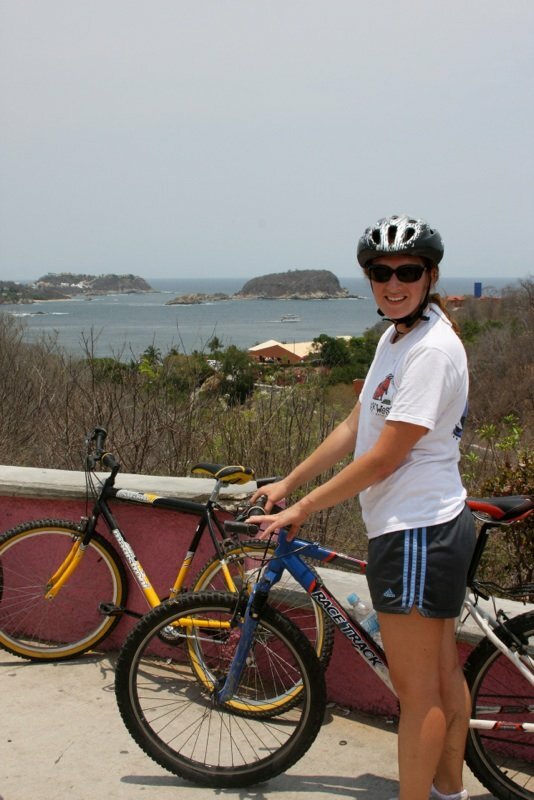 Holy smokes… Today we went on a “Hill Climbing Bike Tour” through Huatulco, Mexico. Talk about a workout. Not only were the hills challenging, but we were riding the worst mountain bikes ever. During the first hill, we couldn’t get the bikes to shift out of the highest gear! On top of that, it was a scorcher out! After the hills, we headed to a nice little beach resort for a quick dip before heading back to the ship. Though Huatulco is a very new resort, this place is going to developing very quickly! Nine Bays with 35 Beaches… Lot’s of investment opportunity!